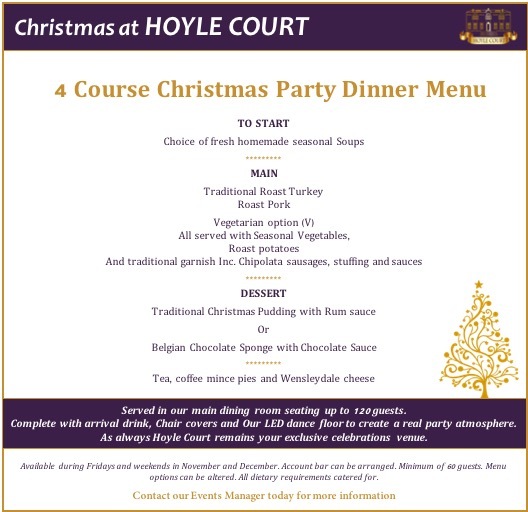 Hoyle Court provides a warm and welcoming atmosphere to celebrate the festive period in Style. Complete with christmas decorations it provides a cosy and relaxed setting. If you are looking to do things a bit differently, contact a member of our team to discuss your requirements and we will see what we can do! 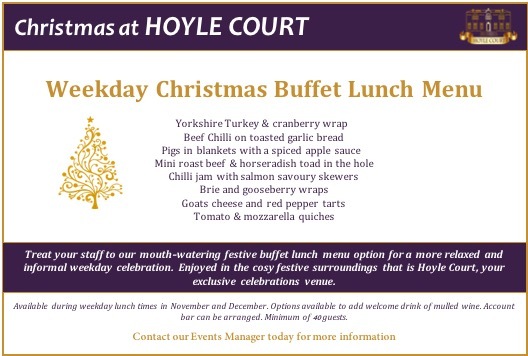 Find out more by contacting our Event Manager by filling out a contact form.